Tradebit merchants are proud to offer auto service repair manuals for your Chevrolet Silverado 1500 - download your manual now! With a list of cars that includes the 285 horsepower, 2014 Chevrolet Silverado 2500HD Work Truck 4dr Crew Cab 6.5 ft. SB w/2WT (4.3L 6cyl 6A) and the 2014 Sonic LTZ 4dr Sedan w/2LZ (3.6L 6cyl 6A), Chevrolet has been building high quality cars for over many years. 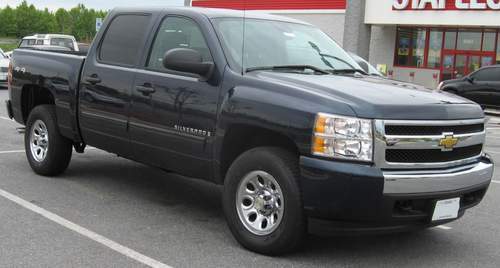 Silverado 1500’s are much easier to repair if you have a Silverado 1500 repair manual. View the comprehensive list of Chevrolet auto manuals from Tradebit.